How many of you grew up eating Pigs in a Blanket as a kid? 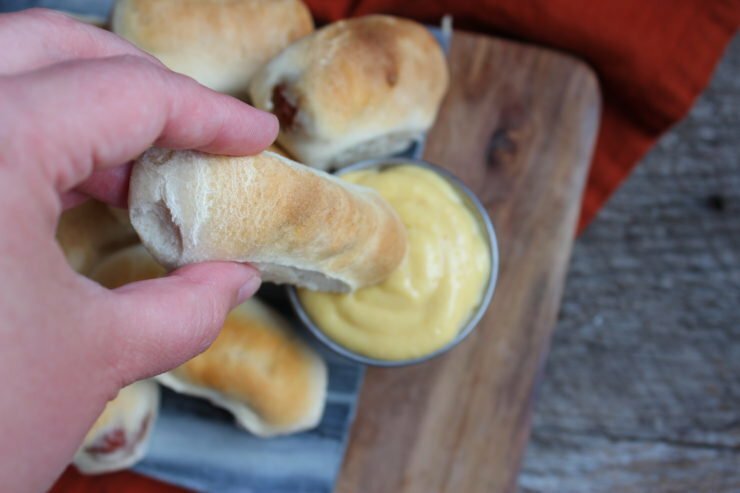 This Pigs in a Blanket Appetizer was one of my favorites growing up and I always begged my mom to make it. Looking back, the nights my Mom made these Piggies in a Blanket for dinner were probably those nights she didn’t really feel like cooking, but to me, it was the funnest, best, dinner night we had all week! 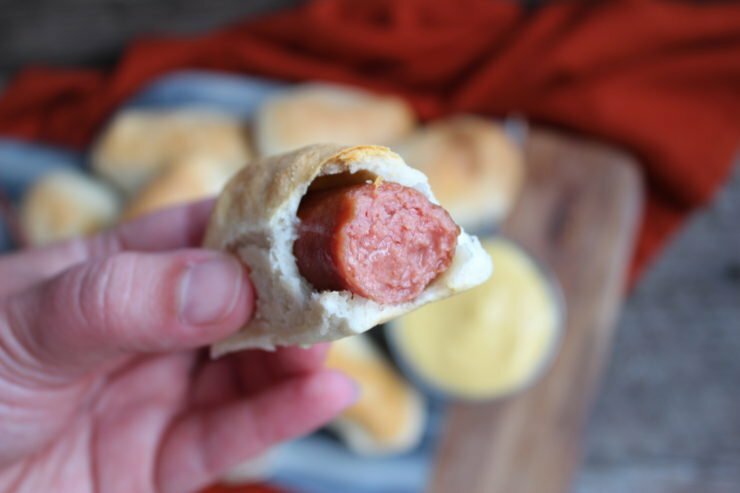 These Pigs in a Blanket are also great party appetizers and with Halloween season upon us and football season already in full swing, this is about the easiest appetizer you can serve your guests – and they won’t disappoint! Also, if you’re just a really tired mom (like me! haha!) 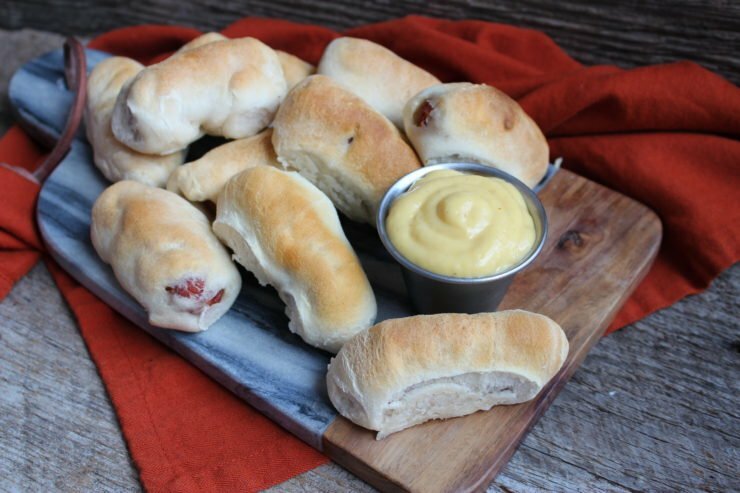 these Pigs in a Blanket Appetizer make for a great dinner! I will confess, I have certainly served my family Pigs in a Blanket for dinner and so far, nobody has ever complained! I’ll never forget the first time I watched my mom making Pigs in a Blanket, I was probably around 5 or 6. I remember asking what she was making, to which she responded “Pigs in a blanket!” I remember being so confused, thinking of an actual pig wrapped in a furry, wool blanket. That hot dog and biscuit dough didn’t look anything like a fat piglet wrapped in a warm, fuzzy blanket to me! haha! She explained that “pigs in a blanket” was just a silly name for hot dogs wrapped in biscuit dough; the hot dog representing the pig and the biscuit dough being a representation of the blanket. You know how kids minds work – I was fascinated the rest of the evening watching her make these “piggies in a blanket”. These pigs in a blanket being miniatures were even more fascinating to me since they fit perfectly in my little child hand. 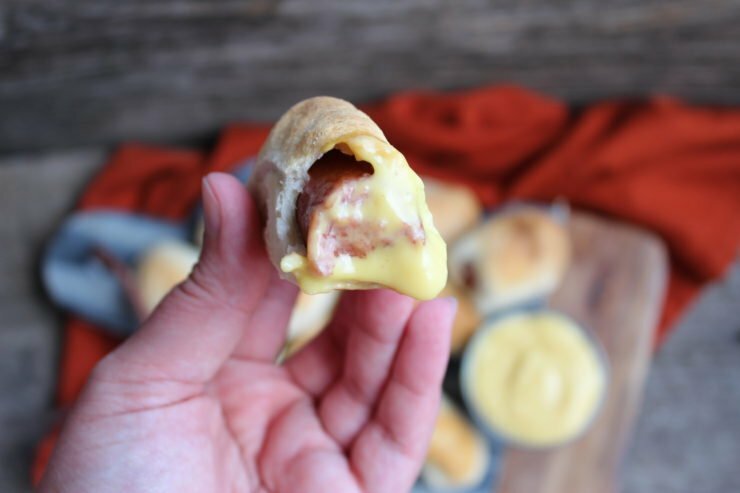 If you’re tailgating this football season, home-gating, or maybe you’re hunting for the perfect Halloween party appetizer, make these piggies in a blanket! 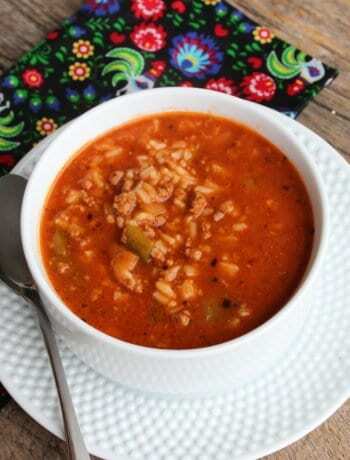 Fast and easy for the cook and delicious for the guests – it doesn’t get any better! Start out by laying out your ingredients – it will make the prep time go by even faster! 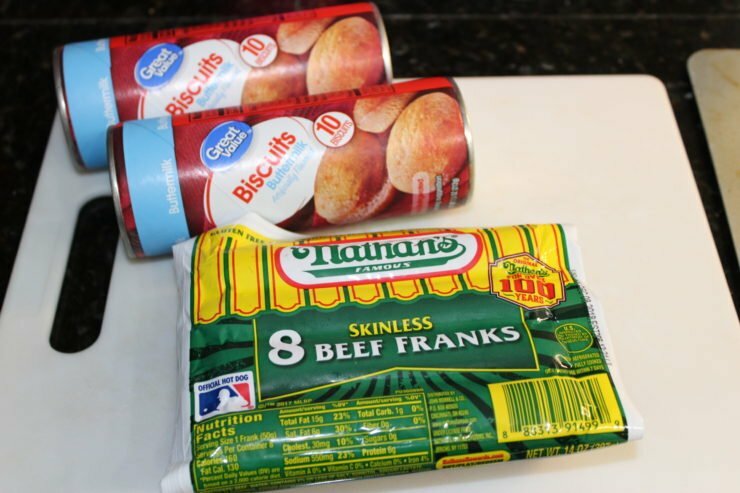 You’ll need: two cans of buttermilk biscuits and one, 8 count package of skinless beef franks. You can use any brand of hot dogs but we prefer Nathan’s because they’re kosher and free of nasties. Open your canned biscuits (I always have my husband do this because I’m scared of the popping can! haha!) and slice open the package of hot dogs. Drain the juice from the hot dogs and cut each of the 8 hot dogs in half, creating 16 miniature hot dogs. Start one at a time and flatten out a biscuit. Once the biscuit dough is flat, place one half of a hot dog in the center. This is where you could add a small slice of cheese if you want pigs in a blanket with cheese. Wrap the biscuit dough all around the hot dog, pinching all of the corners to completely seal it closed. Repeat the process with all of the remaining hot dogs and biscuits. 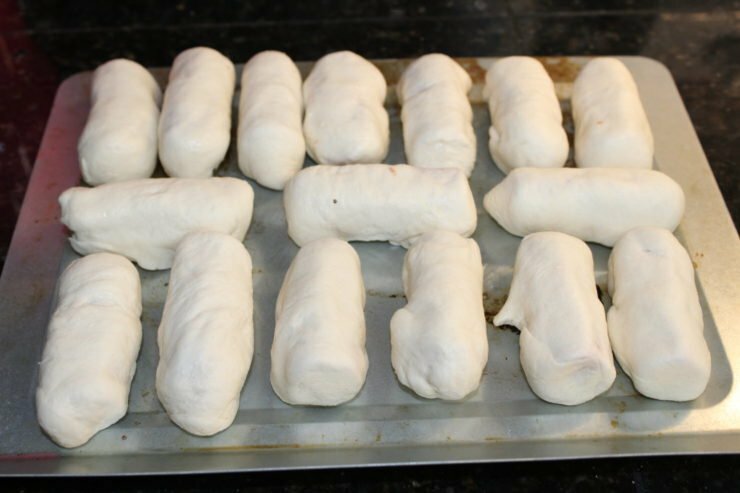 Place the uncooked pigs in a blanket on a small cookie sheet or sheet pan and get ready to bake them! 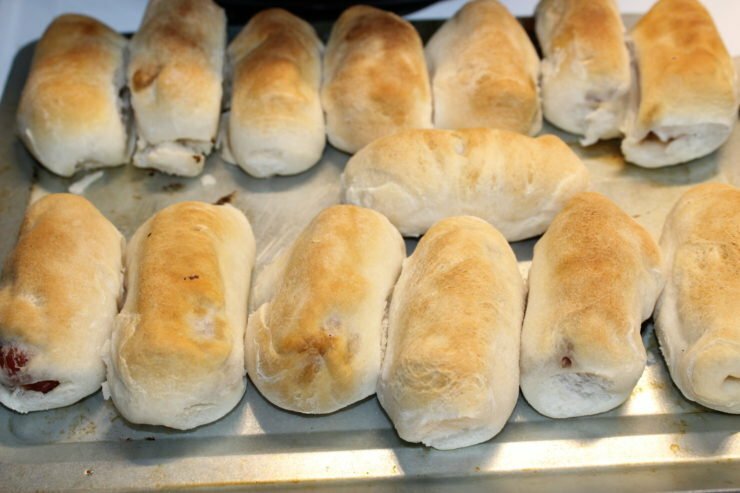 Make sure there is some space between each pig in a blanket so that the dough doesn’t stick together while baking. If the dough sticks together, they won’t cook well in between each piggie. Place the pigs in a blanket in the oven and bake at 350F for 15-20 minutes. Just bake them until the dough is cooked through and golden brown. I used my little convection oven or these piggies in a blanket because I didn’t want to heat the entire house up using the larger oven. Once the Pigs in a Blanket are cooked, remove them from the oven and allow to cool. See those two missing? I had to do some early taste testing. 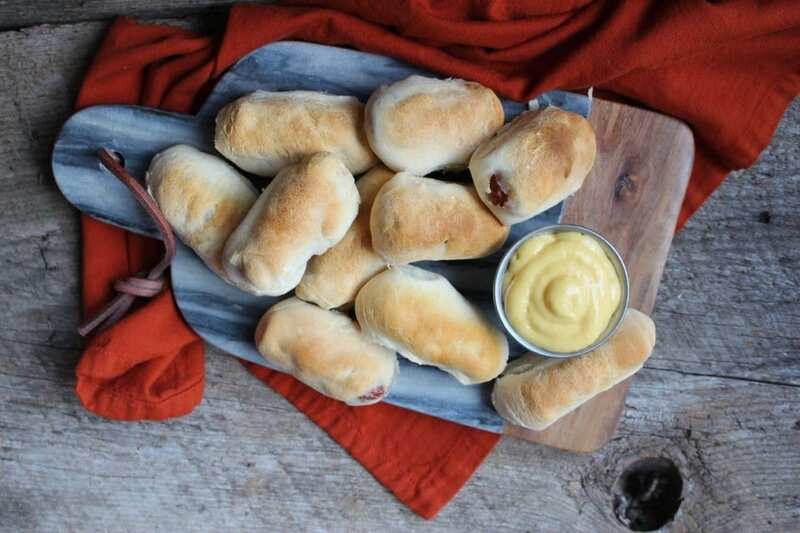 And there you have it, your Pigs in a Blanket Appetizer are ready to be served to all of those hungry guests! Since this is such a simple appetizer, I like to spruce them up a bit by serving them on a pretty or unique platter. I placed my pigs in a blanket on this beautiful marble and wood cutting board, paired with a condiment container filled with honey mustard for dipping. You can add any dipping sauce you prefer, but I have found that mustard sauces are the best for this appetizer. Some of our favorite mustard sauces include: regular mustard, honey mustard, spicy brown mustard, and honey Dijon mustard. If you’re hosting a party, you’re more than likely looking for fast and easy, delicious appetizers. I’ve got a few party appetizers that are tried and true standbys and my go-to’s for all parties that I host. This Easy Baked Spinach Artichoke Dip has always been a huge hit at every party. A few other favorites include: Chili’s Queso Dip Recipe, Blender Salsa, and Three Ingredient Pumpkin Muffins. Thank you for taking the time out of your day to step into my kitchen and visit with me. I hope you have enjoyed your time in my kitchen and that your party season is full of fun and laughter! 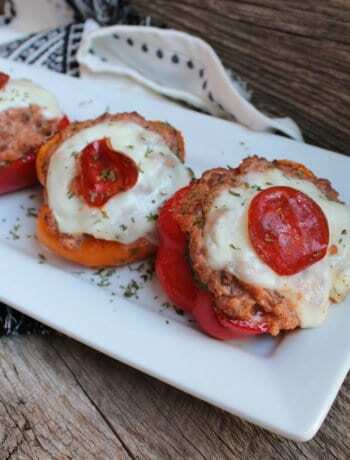 Come back soon for another visit and more great recipes! 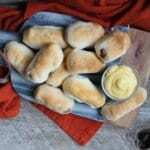 Pigs in a Blanket are a fast and easy, classic appetizer, perfect for tailgating or home gating, birthday parties, Halloween parties, or baby showers. Open the cans of biscuits and place on a cutting board. 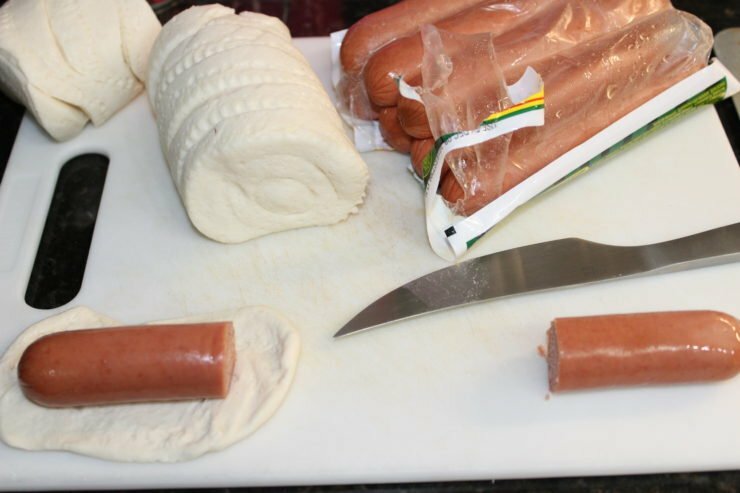 Open the package of hot dogs, drain the juice from them, and cut them all in half. 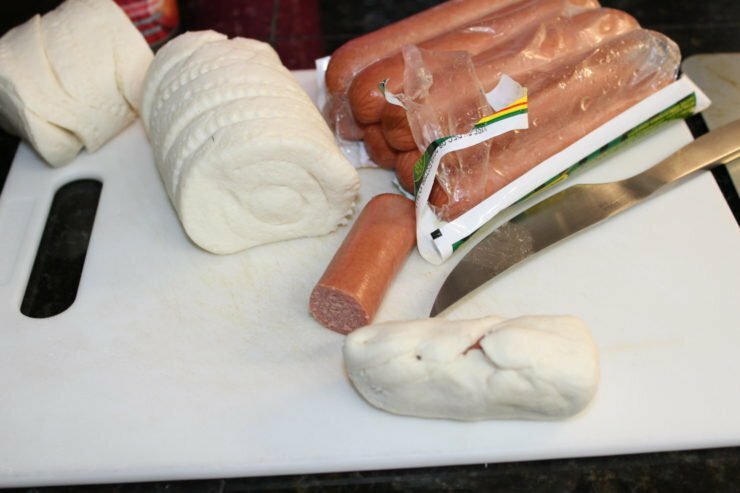 Take one biscuit, roll the dough out flat, then place half of the hot dog in the center and wrap the dough completely around it, pinching the corners to seal it all off. 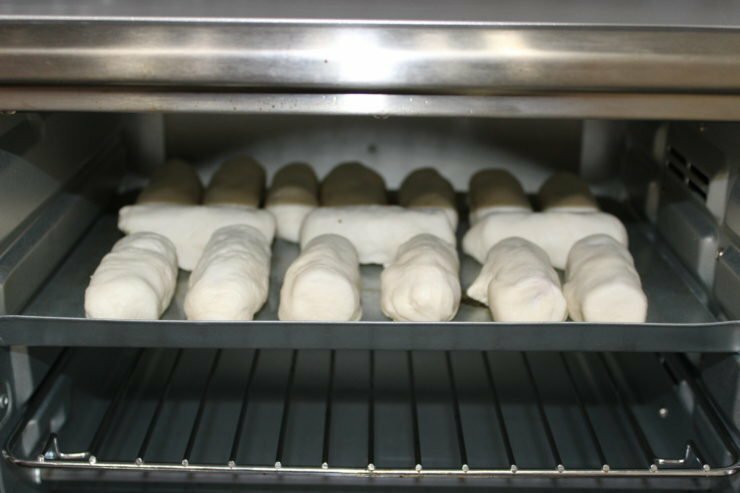 Repeat the process with all of the hot dogs and then place the Pigs in a Blanket on a small cookie sheet or sheet pan that has been sprayed with nonstick cooking spray. 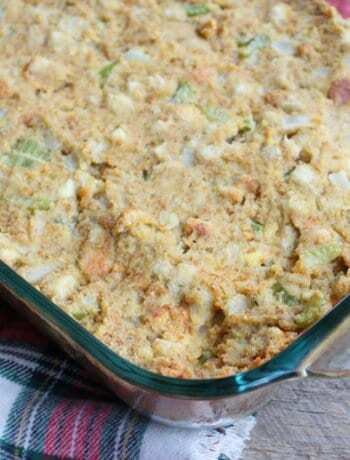 Place in the oven and bake at 350F for 15-20 minutes or until the dough is golden brown and cooked through. Remove and place on a themed platter and serve with honey mustard or your favorite dipping sauce. I love Pigs In A Blanket, these look awesome! Thanks so much for sharing with us at Full Plate Thursday and have a great week!